Come and join us for the morning; we’ll talk to you about our project and take you out into the forest to look for signs of our recently released water voles. Meet at Kielder Castle under the arch, car parking is up the hill past the toilet block and cycle hire centre. There is a charge for car parking. We’ll have an informal chat for half an hour or so inside the castle before heading out into the forest. Numbers are limited due to transport so booking is essential. 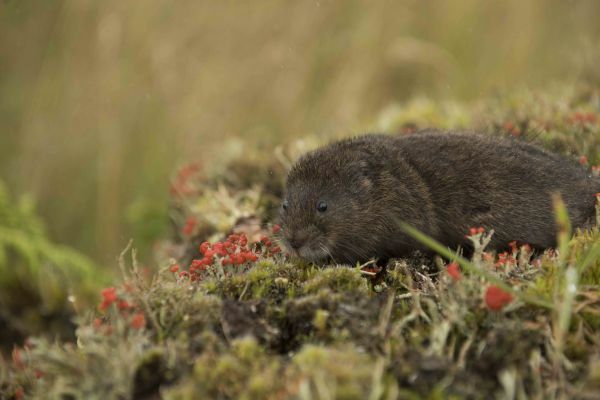 We’ll head up the forest drive where we shall stop off at a couple of locations; we’ll show you some water vole feeding signs, droppings and burrows and will sit for a while (if the midges and weather allow us to do so) looking for the illusive creatures themselves. There are no toilet facilities for this event, or refreshments. Please bring suitable outdoor clothing and ideally wellies for plodging around ponds, as well as binoculars, midge repellent, wet weather gear and suncream! We shall drop you back off at Kielder Castle where there are toilets and a café. This is a family-friendly event.